Today business organizations are operational across various verticals which include Banking, Financial Services, and Insurance (BFSI), retail and consumer goods, telecommunication, health care and life sciences, media and entertainment, government, business and consulting services, research and education, energy, and manufacturing. There are huge amounts of unstructured data getting generated during different process across these verticals. Cloud computing has become quite a common practice that shares data among various organizations. Cloud analytics is also gaining traction among various verticals as provides high-end analytics solutions along with cost effectiveness benefits. There are various cloud analytics solutions which include cloud BI tools; hosted data warehouse solutions; complex event processing; enterprise information management; enterprise performance management; governance, risk and compliance; and analytics solutions. The cloud BI tools are broadly classified in three categories: data integration tools, reporting and OLAP tools, and CRM software. Data integration tools are used for storing huge amounts of data in data repositories. Online analytical processing (OLAP) is a part of business intelligence that includes business reporting application. Customer Relationship Management (CRM) software is used to maintain efficient interaction with existing and potential customers. This market research report consists of the detailed analysis, market sizing, and forecasting for the emerging submarkets of the cloud analytics market. The report is segmented on the basis of type of cloud analytics solutions, deployment models, organization size, verticals, and regions. The cloud analytics market research report analyzes the global adoption trends, future growth potential, key drivers, competitive outlook, restraints, opportunities, market ecosystem, and emerging technologies in this market. The cloud analytics report segments the market into solutions, deployment models, organization size, verticals, and regions covering this market comprehensively. The report provides the closest approximations of the revenue numbers for the overall market and the sub-segments. The cloud analytics report will help them better understand the competitors and gain more insights to better position their business. There is a separate section on competitive landscape that includes competitors’ ecosystem and their roles in the market. Besides, there are company profiles of the top 10 players in this market. In this section, market internals are provided that can put them ahead of the competitors. Cloud analytics will help them understand the overall growth of the market. 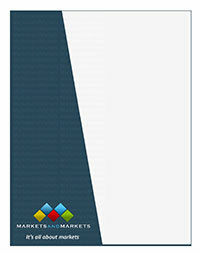 The report also provides information and analysis on the key market drivers, restraints, challenges, and opportunities in the market.